How much pocket money will we need? Soles or US Dollar? How do we handle money best? Do you also book international flights? How are the electrical current and power outlets in Peru? What is the best time to travel in Peru? Can you tell me how does the single supplement work, e.g. when we have odd number of single trekker? How is punctuality and consideration like in Peru? How last-minute can we book our holidays? What exactly happens after arrival in Lima? What days can our trip start? Can we also book a accompanying guide? What days can the treks start? Do you provide a vegetarian service? How last-minute can we book our trek? Can we also trek during the rainy season? Do you offer treks/climbs in groups? Is there a refund if we finish the trek in fewer days? Can you offer cheaper tours? Is it possible to let me know the level of Active Peru services compare with the UK and Australia companies like X, Y and Z. Other companies offer a "Price Guarantee", why don't you? Basically, it depends on the sort of tour you've booked and sort of person you are. If you have booked a tour with a 14 days trekking tour in the mountains, you will need less pocket money than a person on a 3 weeks cultural tour who likes to try out the whole wine menu at the restaurant. All entrance fees at the sites are included in our quotes. Non included meals usually are US $ 5 to 10. Best is to get money from the ATMs directly in Soles here in Peru. If you carry cash you can change your USD into Soles in so-called "casa de cambios". All your expenses will be in Soles. In emergencies you can pay in US $ almost everywhere but worse exchange rate will be used. Wo don't book international flights. 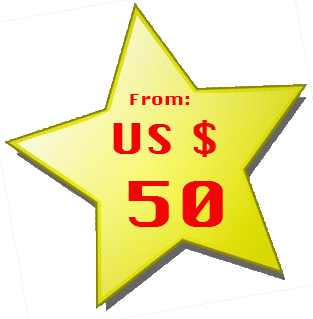 Because we are based in Peru, customers contacting us usually try to avoid paying multiple commissions. Most people book their flights over the internet. Flights usually cost between 1000 and 1200 US $ per person but sometimes cheaper deals are found. In the high season from June to September flights may be a bit more expensive. Keep in mind that flights from Europe often arrive the following day in Peru and that arrival and departure dates allow the booked amount of days within Peru. Clients usually book there international flights first, then decide on the final travel plan. Electricity in Peru is 220 Volts and 60 Hertz. If you plug in a 110-volt appliance (USA), you’ll need to buy a power adapter. But always check before spending money on an adapter, as many modern laptops and digital cameras can safely take both 110 and 220 volts (they are dual voltage). So if you're taking a laptop to Peru, you'll probably only need a plug adapter. There are two types of electrical outlets in Peru. 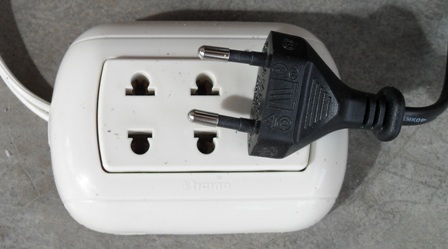 One accepts two-pronged plugs with flat, parallel blades, while the other takes plugs with two round prongs. Many Peruvian electrical outlets are designed to accept both types. There is no time in which climate is perfect in the whole of Peru. You will have to make choices. As clients usually spend most time in the Andean region they usually prefer May till October (dry season in the Andes). However, these months are quite crowded, especially between the end of June and beginning of September. So for the person who can bear a couple of days of rain in his vacation in Peru, April to June and September to November are appropriate months and far less touristy. The answer to this question is so complex that we have dedicated a separate page to it: Tipping in Peru. • a person sleeping in a single room needs to pay the single room supplement. This can be avoided if 3 people are willing to sleep in a triple room. Then all three pay the normal double room price. If a hotel has no triple rooms, they’ll be put in a double and a single room without surcharge. • a person sleeping in a single tent on a private tour due to an odd number of participants pays no single tent supplement. • a single person travelling on a pooled tour has a choice: A) it is assumed that he/she is willing to share the tent with a person from the same gender. This traveller will never pay the single tent, even if nobody from his/her gender joins and they would end up sleeping alone in a tent. B) the traveller is not willing to share a tent with a person from the same gender and pays the single tent supplement. • It is true that punctuality and unfortunately consideration among Peruvians is not one of their strongest virtues compared to western standards. • Because we from Active Peru are under European management you have already sorted out a large part of inconveniences that may occur but nevertheless partners, their staff and just people you may meet while travelling will need to be dealt with too. People working in the tourist industry usually have a clear idea of how to deal with foreign visitor but a holiday in Peru is a holiday in Peru in which you can not be safeguarded from everything - you may need to come up with some extra patience or just have to deal with one and the other inconvenience. Most customers start writin us 6 - 9 months prior to the intended trip to work out the perfect itinerary over the course of a couple of weeks. Then usually 3 - 6 months before travel clients really book. That we we have a good chance to get our preferred hotels, services etc. before they are sold out without having to look for alternatives. Formal booking is also possible up until only a couple of weeks or even days before start of the trip but prices may be subject to changes (economic domestic flights may be booked out, more expensive hotels need to be booked etc.). If you haven’t previously agreed on an itinerary it will be necessary to write several emails per day, be ready to make decisions about your travel plan and be more flexible with bookings. On the day of your arrival you will be met at the airport by our driver holding a name shield. He will bring you to your hotel where you will meet a staff member and a briefing (information session) about your tour will be held. You will receive a more detailed description of your tour including pick-up times, necessary tickets and a Peruvian cell phone to make sure you can contact us anytime it is necessary. Most holidays and packages can start any day of the year. If your journey includes Easter Week or the days around the Peruvian National Holiday (our day of Independence, July 28th), there may be a small surcharge depending on where you are and what you will be doing. This, of course, will be included during emails and before agreeing on final itinerary/price. If you prefer to travel with an accompanying guide, please let us know. Of course, that has a big impact on the travel price and usually only is affordable from 6-8 participants, and it is customary from 10 participants onward. It really depend on how independent your are or want to be and how much travel experience you or someone in your group is. Our treks can start every day. If you are booking the Olleros - Chavin trek, it is recommended not to start this trek on a Saturday because the Chavin visit would then fall on a Monday - Chavin is closed on Mondays. Should there be no other way, we can also organise the trek in the reverse direction to facilitate a visit to the site (if desired). Inca Trail: as you probably already know, the Inca Trail is limited to 500 hikers per day and in order to get a permit it is recommendable to book several months in advance. For hiking the Inca Trail from May - October (our high season) we recommend booking at least 4 months (sometimes even longer) in advance. Can you accommodate food sensitivities on treks? Our cooks are used to dealing with vegetarians and vegans. Gluten is more difficult and clients must be on the lookout the whole time, remind cooks and take actively part in checking up in the same way they would do in a restaurant or when eating at a party. We have had clients with celiac disease but they seem to know very well what to eat, what not to and are very well prepared for it. Often they bring their own additions or even complete meals from back home. It must be said though that Peru is not a great country for special food requirements: even vegetarian dishes may be difficult to find in many restaurants. For some reason, it is not in Peruvians nature to be restrictive in their food choice: can't remember to have ever met a Peruvian vegetarian and food allergies are for some reason not common at all. We “can” organise a trek in just one day - it is possible. Nothing what is done quickly-quickly, is also thoroughly and simply has a greater susceptibility to faults - in Europe, in the US and also in Peru. Logically, it is not our recommendation. And of course it is logical that “leftover” guides and other staff members (with exceptions) are not usually the best. The best guides are booked in the first months of the year or at least until March / April for the peak tourist season from May to October. Especially mountaineering expeditions should be booked well in advance. In trekking there is more leeway. Temperatures do not particularly change a lot over the year. During the day in the sun temperatures allow wearing T-shirts. After sunset in the Andes, freezing point is easily reached. In Huayhuash it can get down to -10 ° C. In the tent rather -5. Highly recommended are 2 fleece, wind jacket, thin gloves and a hat. If you have a down jacket that packs small, make sure to take it along. Yes. During the rainy season the mornings are often sunny, at noon clouds come in and in the afternoon it may rain (or not). Therefor we usually start hiking an hour earlier or so (i.e. 7:30 instead of 8:30) to get to the next camp site to be able to set up camp before possible rain. Also during the dry season rain gear must be taken, but maybe not so rigorously. It’s all a matter of (bad-) luck really: we have had dry weeks in the rainy season and rainy weeks in the dry season. Climate in Peru: on the coastal region we have winter and summer, December - February is high summer (day temperatures 25 - 35 ºC) and June through September is winter (day temperatures 10 - 18 ºC). In the highlands (Andes) and in the jungle we speak of rain and dry season: December - February is the rainy season and June - September is the dry season. The remaining months are transition months and has complete sky-blue days, but also overcast and rainy days. The region of Cusco (Dschungle-standard) is generally more humid than the region of Huaraz (high mountains). Our treks take place year-round, even during the rainy season. Our rainy season cannot be compared to the Monsoon in Asia but of course you need to carry appropriate equipment. We organize no mountaineering in groups (only private) with an occasional exception on a mountain like Mt. Pisco (5.752 m). The main reason is that in the event of an emergency or if a customer has to abort, it may be that the other participants have to abort too. While this is widely accepted when travelling with friends or family, people tend to have less understanding when this happens due to a complete stranger. With serious issues it can indeed happen that the guide HAS TO stay with the injured/ill/exhausted client. That is part of being a responsible guide and is the case in the US, Europe and any other western country - also in Peru. Even on group treks this sometimes is a difficult issue. No. On the contrary, it is even possible that extra costs surge that you are responsible for. If your transport back to the city is another day as planned, we will try to sent the reserved vehicle the day you need it. However, if this is not possible and we have to send another vehicle, this has to be paid by the customer. Extra nights in the hotel are to be paid by the customer. Certainly it is possible to lower prices. But we will save only where we from organisational viewpoint will have no disadvantages. It is not our goal to look everywhere for the cheapest providers and then deal with the complaints afterwards. In Peru it is the same as anywhere else: the less you pay, the more inferior service you get. Even our standard tours are not luxury travel - mostly group tours and only with local English speaking guides. Our hotels are usually just normal accommodations without great luxury. At the hotel price we can possibly save a little, but more difficult it is with the tours. Cheaper tours usually go along with underpayment of personnel and increase the risk of accidents and delays. In this case, it would be preferable to travel on your own, not difficult at all - expect doing some international bank transactions to be sure of your reservations and probably a couple of days of your travel for solving logistical bottle necks. Compared to the 3 outfitters mentioned I would say we are: small. We don’t use fancy slogans. We are local. We are the sort of company you would "really travel with" when you book with one of the “big ones”. We may be wearing other Logos on our jackets then though. Especially in Huaraz there is not a single big international outfitter that organises its expeditions themselves. In Cusco there are a couple but even they will need to go over a Cusco agency to get some of the entrees. Peruvian tourist industry protects its local providers (mostly justified). Several providers promote themselves with a highly decorated "Price Guarantee", meeting or beating prices of companies outside Peru. Outside Peru! It would be hard to imagine that Peruvian travel agencies and tour operators would NOT be able to beat prices from companies outside of Peru. See first question: It is not our intention to sell the cheapest possible holidays, instead to offer our clients the best price/quality relation while respecting local tariffs and regulations.